For more than 30 years, Captain Black Pipe Tobacco has created the world’s largest selling pipe blends. It was Captain Black Pipe Tobacco blends that actually started the full-aromatic craze thanks to their overwhelming amazing aromas that you’ll crave. They started the trend in the 1960a and it’s been popular ever since! If you’re into classic tobacco blends with character, you’ll want to try all of Captain Black Pipe Tobacco flavors! You’ll absolutely lust over their luxurious variety of selections, which is probably why Captain Black Pipe Tobacco is one of the biggest brands on the planet. They have a huge, loyal following of enthusiasts who demand quality and enticing aroma and flavor. 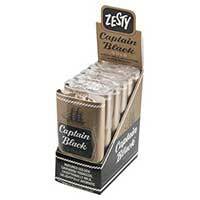 Captain Black Pipe Tobacco blends include Captain Black Gold, Captain Black Grape, Captain Black Midnight Gold, Captain Black Original, Captain Black Red Sky, Captain Black Round Taste and Captain Black Royal. Captain Black Pipe Tobacco’s name is synonymous with quality, which is why it’s universally adored by enthusiasts everywhere across the globe. It’s enticing flavors and budget friendly prices will make you a loyal follower after your first try. 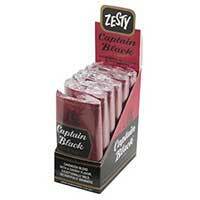 Once you try one of Captain Black Pipe Tobacco blends, you wont want to smoke anything else.